The article’s title possibly making many readers wondered – why Android is Open Source? Forget about Android. We still lack a complete true free mobile operating system which is really like mobile version of GNU/LINUX. It is a threat to data privacy. Near 100% GNU GPL with 100% Open Source hardware is ArduinoPhone 2.0, which is essentially like phones of the year 2000. Replicant Mobile Operating System is smartphone compatible GNU GPL software and supported by Free Software Foundation but the packages needed to get all functions practically push it towards against the philosophy of Free Software Foundation. Smart phones are dangerous tracking devices because of presence of many networking hardwares, unknown proprietary softwares. While free/libre software philosophy is to develop software that respects users’ freedom, the idea of open source focuses on code quality not exactly freedom. Much known Android is not free/libre software, also not fully open source. It basically follows very bad license model. Linux is not the entire GNU/Linux. Torvalds’ version of Linux has some nonfree binary blobs. The way FSF listed desktop, server OS are compiled as GNU/Linux becomes actual Free Software. It is the GNU part which forces to be free/libre. Android actually lacks the GNU part. Apache 2.0 and GPL 3.0 are actually recommended licenses. Android abuses the gap of GPL 2.0. Many Mobile Operating Systems keep users in old UNIX jail and needs tweaking to gain higher access. More than code, Android has serious problem with Google Applications. They are not only non-free, can track but Google forces the manufacturers/developers of devices to pay a fees to become “legal”. Needless to say, Android’s cost actually paid by the end user, it does not matter how high or low it is, we are bearing the cost. It is true that Replicant is a free and open-source operating system based on the Android which has many already replaced proprietary Android components with free-software counterparts. Also, all the current Mobile Operating System charges the developers. Furthermore, there is no complete Open Source hardware for smartphone. Raspberry Pi not exactly True Free Mobile Operating System. There are lot of things to develop more than apps. There are blogs with misleading information. 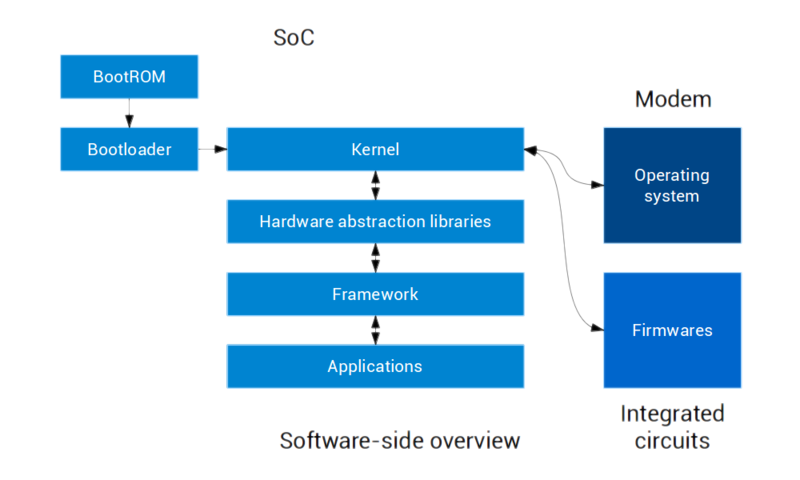 Tizen is not GNU GPL, not even open Source. If Tizen was GPL, porting the firmware or drivers would be easy. Plasma also has problems in terms of “open”. Ubuntu’s company Canonical is a pathetically bad company declared by Richard Stallman. It is only BeagleBone which is open Source hardware among the single board computers. Samsung Galaxy J7 pro (SM-J730GZKW) is cheapest “modern looking” and currently in production. But we have no drivers. Galaxy S 2 (I9100), Galaxy S 3 (I9300) are towards our “latest”. This Article Has Been Shared 2783 Times! Virtual Currency or Virtual Money is an unregulated medium of exchange that is electronically created and stored, different from legal tender. Cite this article as: Abhishek Ghosh, "Need of True Free Mobile Operating System For Freedom," in The Customize Windows, November 25, 2017, April 21, 2019, https://thecustomizewindows.com/2017/11/need-true-free-mobile-operating-system-freedom/.